with a vintage thrifted colander? that is apparently not all that original of an idea. 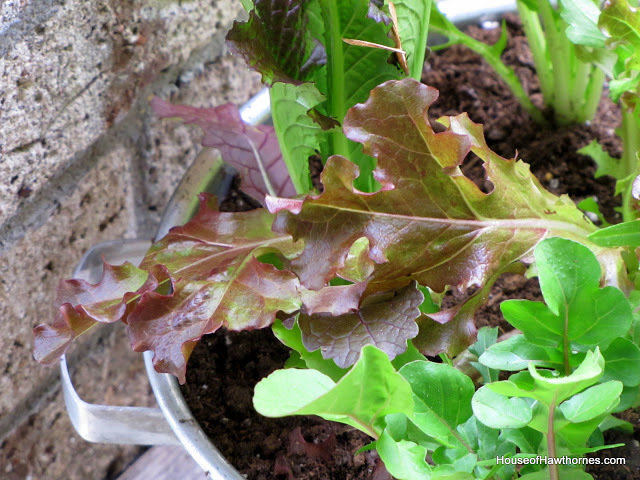 When I thought of putting these lettuces in a colander, I thought I was being so creative. Such a perfect mixture of my love of vintage thrifted items with my love of gardening. 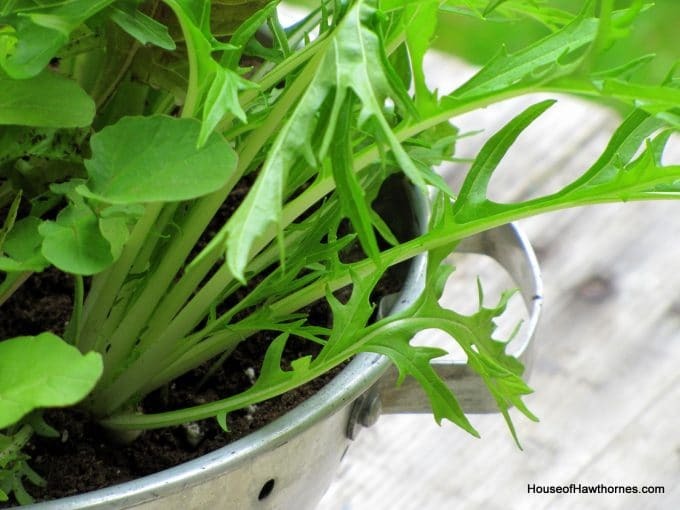 Plus you have the tongue-in-cheek uniqueness of growing your food in the very thing you should be washing it in later. Then I was looking through a friend’s blog the other day and she showed two colanders on her patio that she had planted with herbs. I guess it’s one of those things that prove that nothing is an original idea anymore? Or maybe I have just seen this somewhere before, stuck it in the depths of my over crowded mind and mistook my memory as a unique creative thought? 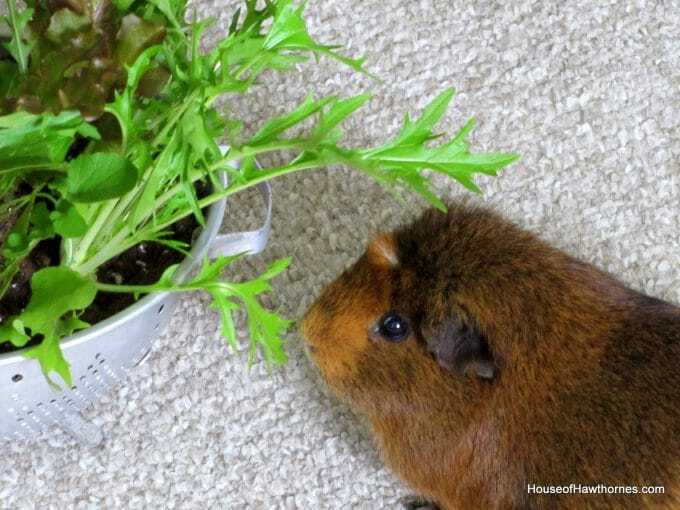 Oh well, I actually planted this whole container of lettuce for Ben anyhow. He doesn’t seem to mind if it’s “been done before” or not. Guinea pigs are great like that. This is absolutely an adorable idea. I personally have not seen it before so it is new to me. I think it’s a genius idea. Ben is adorable. We had a Harriet for nearly five years. She would squeal every time we opened the refrigerator in hopes of fresh carrots or lettuce. Happy blogging anniversary!! Happy Anniversary! This is the first time I have seen a colander used as a planter. Great idea! LOL…works for me. I love the idea! well I think the idea is original to those of us who never thought of it before. 🙂 I love the idea and am always looking for things to plant things in. cute idea! Congratulations on your anniversary! Happy Blog Anniversary!! I’m glad I’ve been along for the ride! 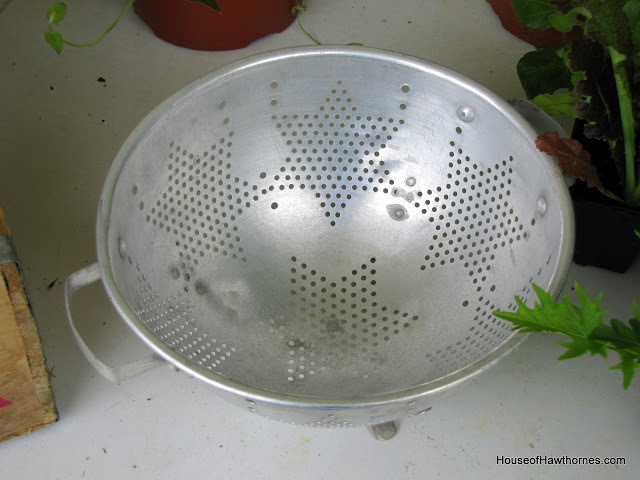 I think your idea to plant in the colander is wonderful….it was new to me. Happy Blog birthday. It’s a great idea no matter how many times it gets done! Happy Blog-birthday! I never would have thought of doing this and it is such a cleaver idea. Very cute…and speaking of cute, how about Ben, just adorable. I think it’s a cool idea and Ben does seem to like it. Happy Blogversary!! Yea for you. Happy blogging anniversary, Pam! I’m really glad that we got to meet “in real life!” LOL Enjoyed seeing you again on Sunday. Thanks so much for coming down to Waynesville for the sale. 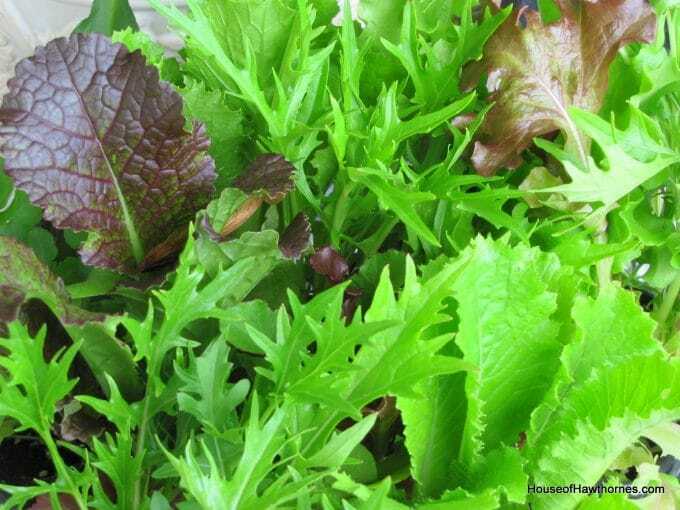 I hope you like your “junque.” And I like your lettuce planted in the colander. I had some flowers planted in some kind of metal container, but it kept rusting on my patio. Ick. I love your little colander idea…it’s new too me 🙂 I can see that Ben like it too. Gosh, he’s cute. Put me in the “it’s new to me” column. I love the idea and it looks like Ben does too!!! 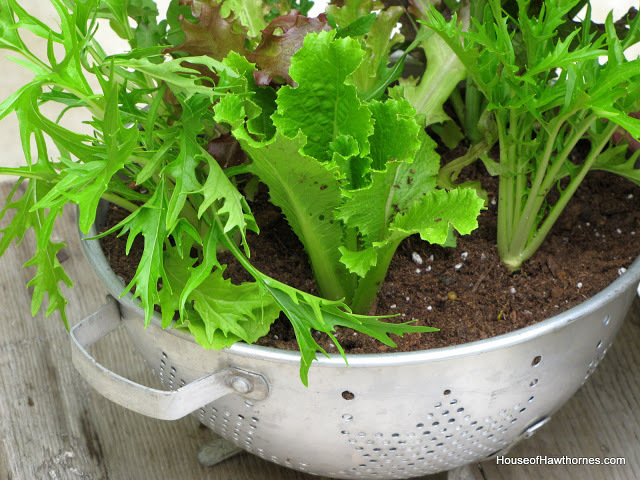 Love the colander planter! And Happy Day after Anniversary! I love that photo of Ben..he is so cute! I think this is a great idea and i have never seen it before. This colinder brings back memories of the one my mom has. Great minds think alike! I’ve sure never thought of it…and I think it’s a wonderful idea! Congrats on your milestone! Happy Blog Anniversary! 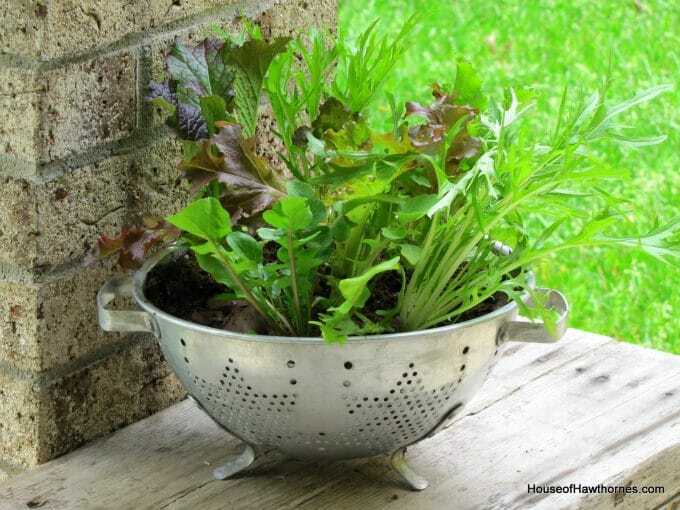 I love the idea of a colander garden. I’ve never seen it done before and it’s a very cute idea. I love the idea. I have some herbs that I could plant in my colander. It’s new to me. Do you start from seed ? I used seeds one year and it seemed to take forever and a day to get to the harvesting stage 🙂 So now I just buy them from the garden center.